San Pedro de Alcántara is a small Spanish town located half way between the city of Marbella and Estepona. 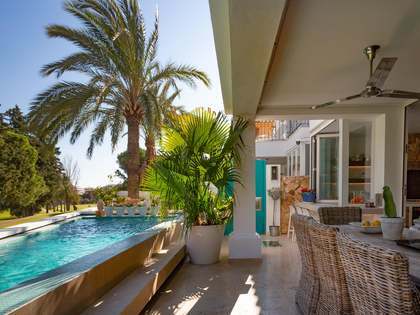 It is ideally located and in one of the most popular areas on the Costa del Sol. Together with Guadalmina it is home to numerous luxury developments and villa projects. San Pedro has a classic, laid back feel of a small Andalusian seaside town and offers many services with a friendly holiday town atmosphere. The flat terrain from the beach to the town makes it a perfect place for young and old alike and it is delightful to explore its winding streets. San Pedro de Alcantara is full of small squares with tapas bars and small cafés. There are great restaurants and it is extremely popular for permanent residency as well as a holiday location. 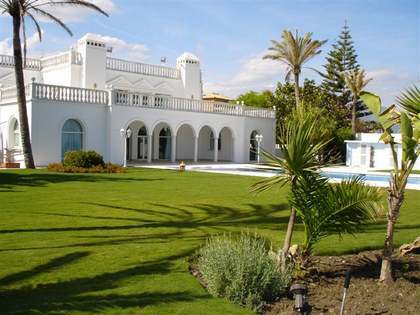 Many well-known sportsmen, singers and artists have homes in the town including Vicente del Bosque, the Spanish World Cup winning Manager. In the last few years, an attractive new Boulevard that stretches the length of the town has been constructed. 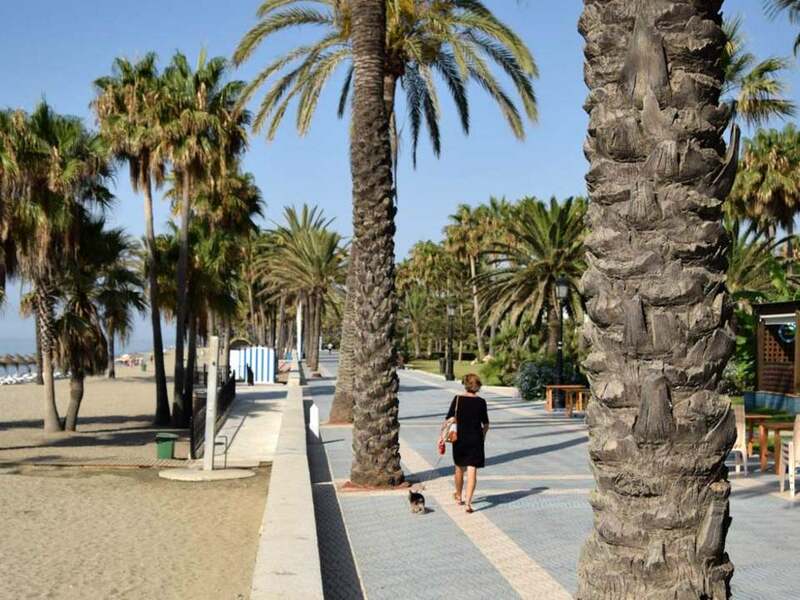 This unites the beach and hill sides of the town and provides a great family focal point for an afternoon stroll with children´s parks, cycle tracks and of course, trendy bars and restaurants. There is even an outdoor amphitheatre which host many free events. Equally attractive is San Pedro´s Paseo Maritimo, another extremely popular area, which allows visitors great front line beach restaurants serving what is probably some of the best and freshest seafood and Paellas on the coast. It is a great place to sit and eat whilst gazing out across the Mediterranean past luxury yachts towards Morocco. There are even excellent beach clubs to enjoy – immensely popular with locals and holidaymakers alike. For the more energetic there is the possibility of a beautiful sea front walk or bike ride to Puerto Banús and beyond along a Mediterranean coastal path. Older resale properties can be found to the North of the boulevard and newer beach side properties to the south. Being very Spanish in nature there are many hidden residential areas around the town all within a few minutes’ walk from amenities. Guadalmina, San Pedro´s immediate neighbour is another popular area with high end private villas to the south (Baja) and apartments and townhouses to the North (Alta). 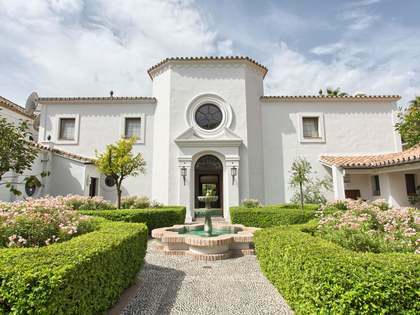 The suburban, green leafed nature of Guadalmina Baja and its proximity to the sea makes it a perfect choice for those seeking high end peace and quiet in luxurious surroundings. There are many new luxury villa projects for sale in the area for those who want to be near the sea. 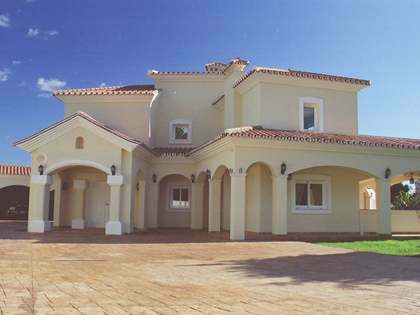 Like San Pedro, Guadalmina is ideally located to all amenities and has easy access to the motorway. Through the years San Pedro Alcantara has retained all of its charm and whilst it is considered as part of Marbella it keeps its own distinct, attractive and uniqueness, making it one of the most sought after areas on the Costa del Sol. Lucas Fox offers a wide range of Marbella luxury real estate for sale in the areas of San Pedro de Alcantara and Guadalmina, including stunning New Developments and beachside villas.